Collection of writings and publications on Kinetic art, Kineticism, Art cinétique, Kinetische Kunst. Only those with existing pages on Monoskop wiki are listed. Vasarely, 'Manifeste jaune', 1955. From Le Mouvement catalogue. 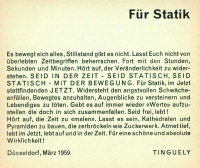 Jean Tinguely, Für Statik, 1959. Miriorama 1. 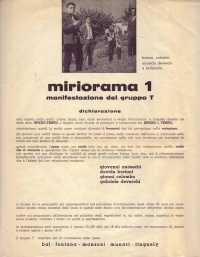 Manifestazione del Gruppo T, 1960. GRAV, Transformer l’actuelle situation de l'art plastique, 1961. 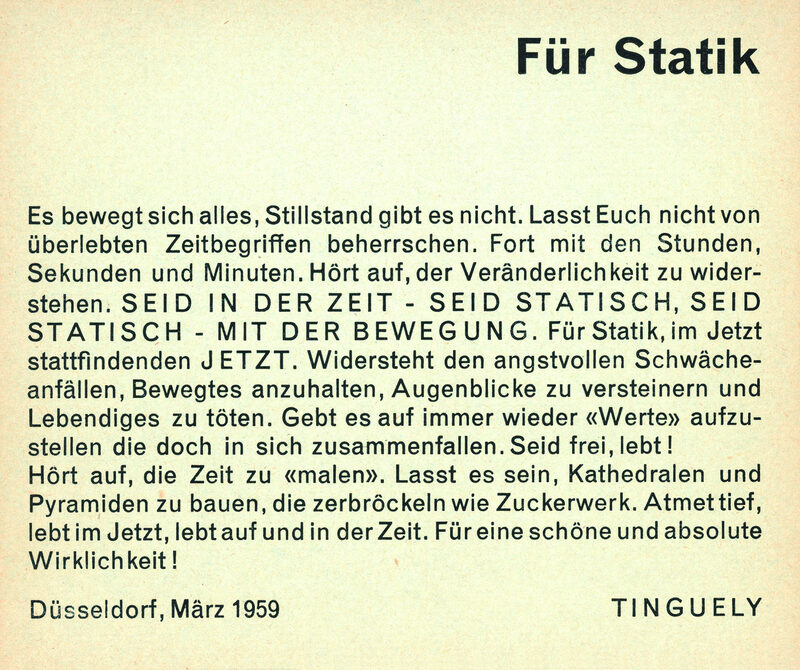 Jean Tinguely, Für Statik, Mar 1959; repr. in Vision in Motion / Motion in Vision, Antwerp: Hessenhuis, 1959. 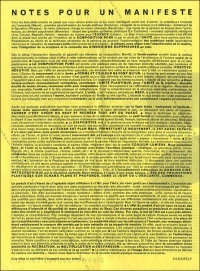 150,000 flyers bearing the manifesto allegedly dropped onto the city of Düsseldorf from a small aeroplane on 14 March on the occasion of Concert of Seven Pictures. 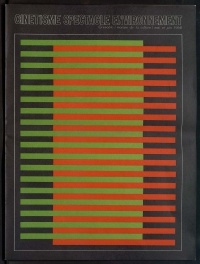 GRAV, Labyrinthe III, New York: The Contemporaries, 1965, 16 pp. Catalogue. Exh. held 27 Feb-20 Mar 1965. Zero, eds. 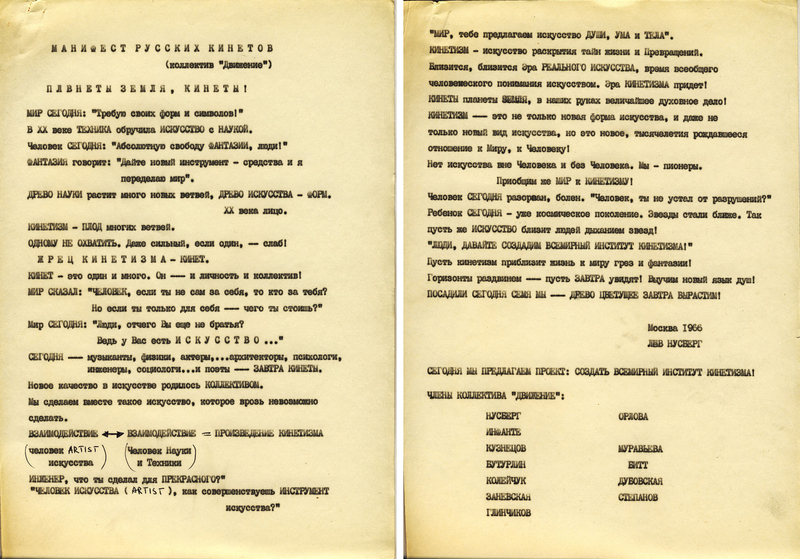 Heinz Mack and Otto Piene, 3 issues, 1958-1961; facs.repr., MIT Press, 1973. Installation view of Mouvement, Denise René Gallery, Paris, 1955. 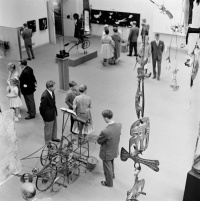 Installation view of Vision in Motion – Motion in Vision, Hessenhuis, Antwerpen, 1959. 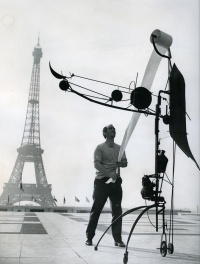 Jean Tinguely with Méta-Matic no. 17 at the first Biennale de Paris, 1959. Photo: John R. Van Rolleghem. 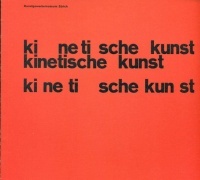 Kinetische Kunst, Kunstgewerbemuseum Zürich, 1960. The artists of Dylaby: dynamisch labyrinth (L-R): Per Olof Ultvedt, Robert Rauschenberg, Martial Raysse, Daniel Spoerri, Jean Tinguely and Niki de Saint Phalle, Stedelijk Museum, Amsterdam, 1962. Photo: Christer Christian. Catalogue: Log, PDF. Film from the Arte programmata show, Galleria Vittorio Emanuele, Milan, 1962. 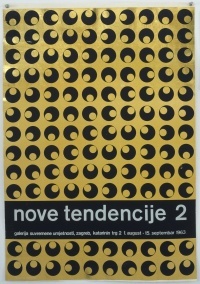 Poster for Nove tendencije 2, Galerija suvremene umjetnosti, Zagreb, by Ivan Picelj. The exterior of Signals Gallery on 39 Wigmore Street, London, 1966. Photo: Clay Perry. 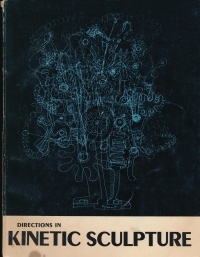 Directions in Kinetic Sculpture, University Art Gallery, Berkeley, 1966. 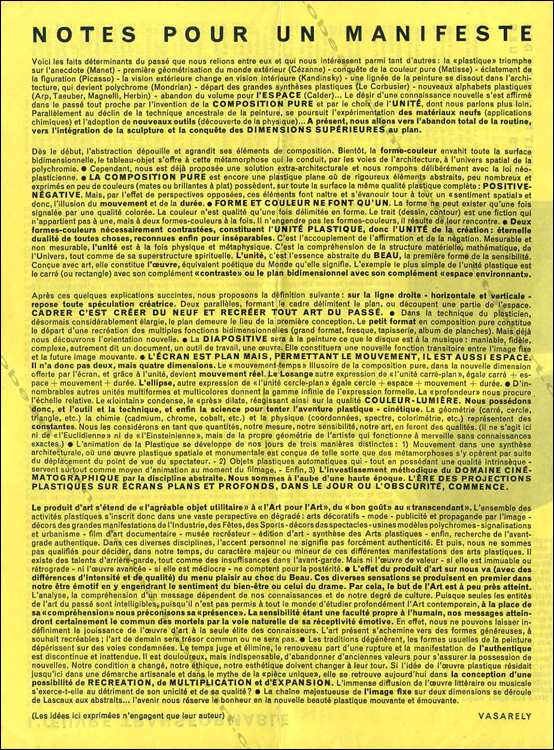 Cinétisme spectacle environnement, Maison de la culture, Grenoble, 1968, PDF. 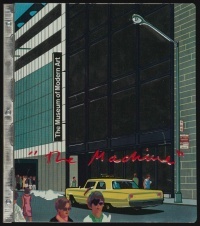 The Machine as Seen at the End of the Mechanical Age, MoMA, New York, 1968, Log, PDF. The Pepsi Pavilion designed by Experiments in Art and Technology (E.A.T.) for Expo '70 in Osaka. Exterior view showing Fujiko Nakaya's Fog Sculpture, Robert Breer's Floats and one tower of Forrest Myer's Light Frame sculptures. Photo: Shunk-Kender. 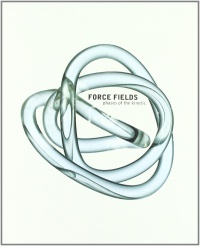 Force Fields: Phases of the Kinetic, MACBA Barcelona & Hayward Gallery London, 2000. 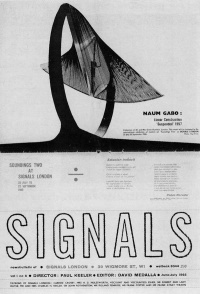 See also catalogues of Zero, Nul, New Tendencies, GRAV, and of shows organised by Denise René Gallery, Paris and Signals Gallery, London. For catalogues on individual artists see their respective pages. 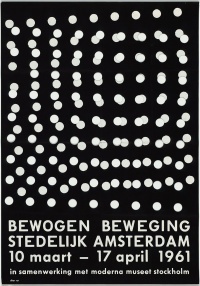 Movement in Art, Howard Wise Gallery, Cleveland, 20 Mar-15 Apr 1961. Works by Agam, Corneille, Lye, Tinguely. Kinetic Environments One & Two, curated by Willoughby Sharp, Central Park, New York, 23 Jul & 29 Oct 1967. Works by Haacke, Hogle, Larrain, McClanahan, Ross, Sharp, Van Saun. Kinetic, University Art Gallery, Sydney, Jun-Aug 2005. Spielerei: kunst om mee te spelen / Art to Be Played With, Schunck, Heerlen, NL, 28 Aug-27 Nov 2016. Press release. Vechnyy dvigatel. Russkoe kineticheskoe iskusstvo (Вечный двигатель. Русское кинетическое искусство) / Perpetuum Mobile: Russian Kinetic Art, Zarya Center for Contemporary Art, Vladivostok, 3 Feb-2 Apr 2017. Curated by Polina Borisova. Guy Brett on kinetic art, interviewed by Linda Sandino, audio, c2007, 29 min. 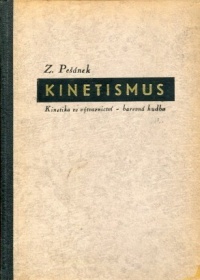 Zdeněk Pešánek, Kinetismus: Kinetika ve výtvarnictví – barevná hudba, 1941, Log, PDF. 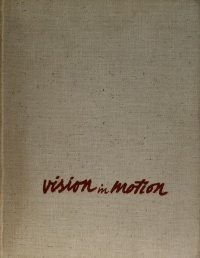 L. Moholy-Nagy, Vision in Motion, 1947, Log, PDF. 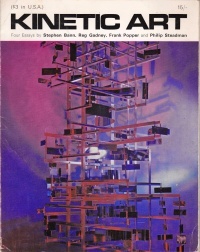 Bann, Gadney, Popper, Steadman, Kinetic Art: Four Essays, 1966. 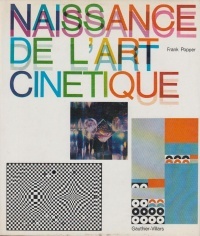 Frank Popper, Naissance de l'art cinétique, 1967. 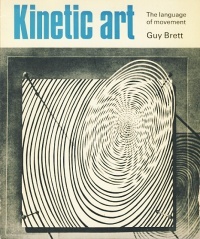 Guy Brett, Kinetic Art: The Language of Movement, 1968. For writings on individual artists and collectives see their respective pages. Jack Burnham, "Kineticism: The Unrequited Art", ch 6 in Burnham, Beyond Modern Sculpture, New York: Braziller, 1968, pp 218-284. Lumière et mouvement. 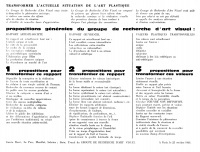 Volume 1, Art cinétique et lumino-cinétique, eds. Claude Guibert and Jean-Luc Chalumeau, Paris: Imago (Encyclopédie audiovisuelle de l'art contemporain), 2004. Video DVD (1 h 51 min). en Oxford DA, Tate, Wikipedia. fr Pompidou. it Treccani. es Akal. cr Šuvaković. hu Artportal. sl Pojmovnik. Kinetic art in East-Central Europe. This page was last modified on 22 February 2019, at 16:37. This page has been accessed 29,740 times.